The revised forest plan provides direction for managing the forest’s ecological, social, and economic resources for the next 10 to 15 years. Based upon the review of all alternatives and the consideration of the effects to the ecological, social, and economic environment, alternative B modified was selected for the Flathead National Forest revised forest plan. The selected alternative is based on alternative B from the draft EIS, with modifications in response to comments, including over 33,000 comments on the draft EIS, and includes features of all alternatives considered. Alternative B modified is the result of engagement with State and local governments, other Federal agencies, and Indian tribes, as well as robust and unique public engagement efforts since 2013. Additionally, Forest Supervisors Chris Savage, Tim Garcia, and Bill Avey have released the draft record of decision and final environmental impact statement for forest plan amendments to the Helena-Lewis and Clark, Kootenai, and Lolo National Forests, which incorporate habitat management direction from the draft Northern Continental Divide Ecosystem (NCDE) Grizzly Bear Conservation Strategy. Alternative 2 modified from the draft EIS was selected for the forest plan amendments in response to internal and external reviews and public comments on the draft EIS. Amendment plan components will guide future land management actions related to motorized access and secure core, developed recreation sites, vegetation management, livestock grazing, and energy and mineral development. In general, habitat conditions in the primary conservation area will be maintained at levels that occurred during the time period when the grizzly bear population was known to be growing and increasing in distribution, thus contributing to recovery of the NCDE grizzly bear population. 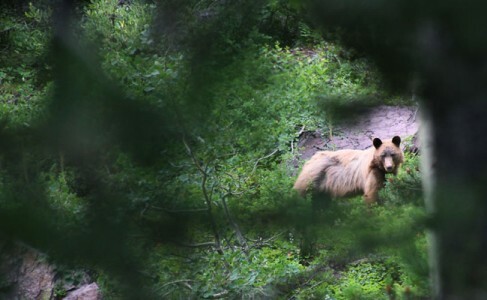 In zone 1 and the demographic connectivity areas, plan components will be added to limit grizzly bear mortality risk and provide for population connectivity to neighboring grizzly bear recovery zones. In a portion of zone 2, a desired condition aimed at providing for genetic connectivity between the NCDE and the Greater Yellowstone Ecosystem will be added. A desired condition and a standard regarding food/wildlife attractant storage special order(s) will apply across the primary conservation area, zone 1 including the demographic connectivity areas, and zone 2. New forest plan monitoring items will be added to the forest plans. USDA Forest Service Northern Region’s species of conservation concern webpage: http://bit.ly/NorthernRegion-SCC. The next step in the process is a 60-day objection period, which officially starts on December 14, 2017. Individuals or groups who participated in the planning process may file an objection regarding specific remaining concerns. At the end of the 60-day period, the agency will review those concerns and seek opportunities for resolution. Once the objections are resolved, the Forest Supervisor will sign the final record of decision. See the Forest website (www.usda.fs/goto/flathead/fpr) or the legal notice for the specific requirements for filing an objection. To learn more about the Flathead National Forest visit https://www.fs.usda.gov/flathead or “like” us on Facebook at www.facebook.com/discovertheflathead.